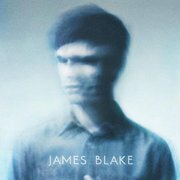 Young British electronic composer and pretty boy James Blake surprised everyone who was following him through his previous and very recommandable four EPs full of minimalist dubstep instrumental with this debut album where he changed into an electronic singer/songwriter. There were already some samples of vocals on his previous works, but this time James Blake sings and samples his own voice, and he does it very well indeed. His voice is fragile and slightly broken if quite highpitched and Blake used it in a very peculiar way, somewhere between Antony Hegarty and a more reserved Lewis Taylor. Indeed there is something of Antony's very emotional theatricality as well as some very sensitive R&B vowel inflexion, the effect can be quite gripping and touching here, devastatingly moving there. The song "Unluck" opening the album was somewhat worrying for its use of something between a vocoder and an autotune and there was some concern these effects, mostly concerning autotune, would spread increasingly through the album and make it unlistenable, but fortunately not. On "Unluck", these effects are parsimoniously used and it could recall some similar sound effects found on early Prince's records (so it must be a vocoder). By doing so his already fractured voice seems even more fractured and Blake doesn't hesitate to break it even further by cutting his vocals in the middle of a word like on the song "I Mind" or make some voice extracts jump anywhere in the audio spectrum like some backing singer intervening out of the blue and from any place when he feels like it, on "Unluck" or "To Care (Like You)", for example. There is also some very subtle vocals overdubbings, mostly his own voice, in a lower or higher register, in the left and/or right channel, as backing vocals or lead, and it never sounds heavy or thick, on the contrary, his half whispered almost catlike voice brings lightness and you wouldn't even notice the overdubbings if you wouldn't be told. The result is far from random and offers some delightful listen. In its very discreet, reserved an even humbled way, this album shows a very surprising and audacious artist. Building something of a name in the strictly electronic music world with a handful of successful EPs, then choosing to jump on the singer/songwriting bandwagon without further notice shows some balls. He sure keeps his minimalist dubstep background well into the picture, but the guy hasn't finished yet with surprises : the appearances of an acoustic piano on several tracks used as near sole instrument like on "Give Me My Month" and "Why Don't You Call Me" or having an important role, the most well-known example being the first single and exquisite cover of one Feist's song "Limit To Your Love". Knowing the quality of the original song, which appeared on Feist's now classic "The Reminder" (2007), and above all a vocal performance which is near impossible to compete with, young and inexperienced James Blake could have break his neck right on it... Well, he didn't, far from it, he gives another point of view on the song, he makes it his own, he transcends it, he even elevates it to the level of Scott Walker's latest arias on his album "The Drift" when very Spartan beats and extremely low sub-basses erupt, but in a very introvert and emotional way; James Blake is not standing on a scene, he's sitting alone in his student flat. This apparent sonic bareness, the sober performances, the general melancholic atmosphere and mostly this near painful loneliness brought some comparison to the late Nick Drake, James Blake would be some kind of electronic version of him, but if I could understand the comparison, I would rather place him somewhere between a far less sarcastic Randy Newman and a more sober Tim Hardin. On the other side, his use of the vocoder, but also the structure of his music, are sometimes reminiscent of a less cerebral Laurie Anderson. But the most striking element, if you care to listen, of this album is the presence of silence, sometimes James Blake equals Talk Talk's Mark Hollis on his unique, by all means, eponymous solo album in 1998. James Blake does not hesitate to stretch the silent moments inside a song to its limit, when the last note is barely hanging in the air and you feel like standing on the top of a cliff. Whatever the comparison and the pigeonholing, James Blake, at 22 year old, is already very much his own and shows a musical maturity very seldom seen at such young age, and at any age. This album is a grower. At first listen, I wasn't too enthusiastic about it, mostly because the first four songs felt somewhat repetitive, I was even thinking that if James Blake wants to become a singer/songwriter, there's still much work, but after some more listens even the more repetitive tracks gained in substance and the monotony became mantra, there are hooks and a strong melody, besides the touching and sincere vocals. Despite the whole hype surrounding this album, and already this artist, this music is not that easy to grab and to get into. If it's rather soft and melodic, the fractured vocal and instrumental delivery, the subdued electronic arrangement, the near absence of groove, the place given to silence make it a challenging listen nevertheless. But if you take the patience to listen to this thing, the reward will be real high and the emotion genuine. Besides, this album represents a fine example of what music will be among others made of in the near future. Now, if I'm surprised by the hype through the medias, it's hard to understand the popular success of this UFO of an album, I mean that album peaked in the top ten in near every European charts and 4th in the US Dance/Electronic category. It seems like sometimes albums follow the same fate as books, everybody talks about them, many buy them, very few actually listen/read them, and even fewer like them. Anyway, for once, and in my opinion, you can believe the hype.